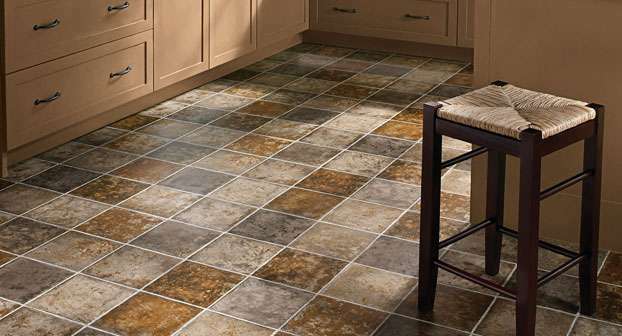 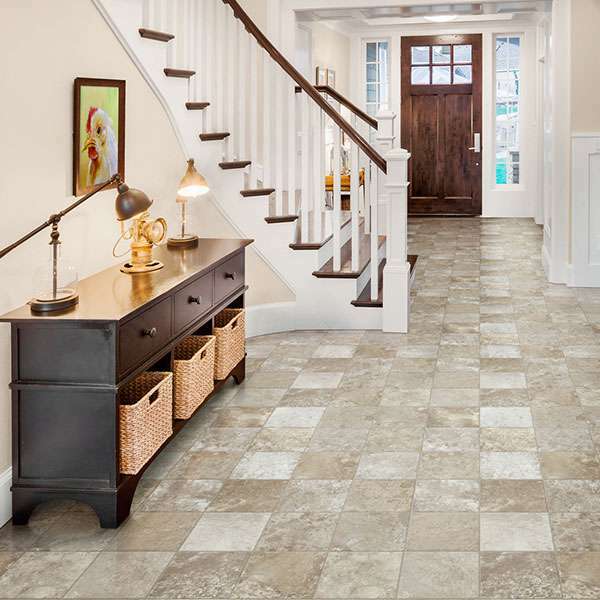 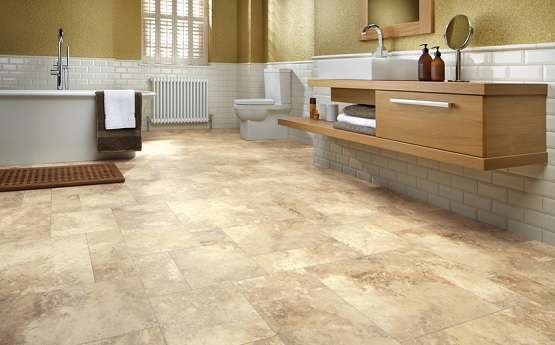 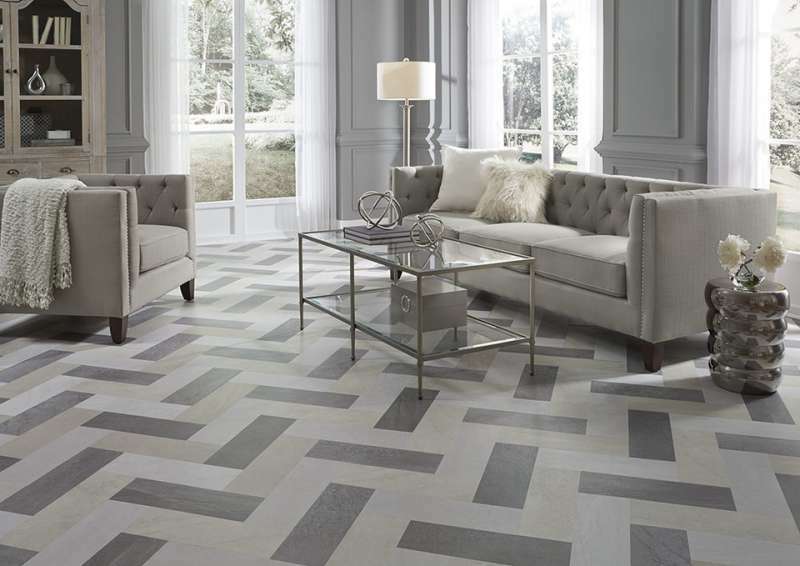 Sheet vinyl flooring is a proven performer with many color options, and is very environmentally friendly. 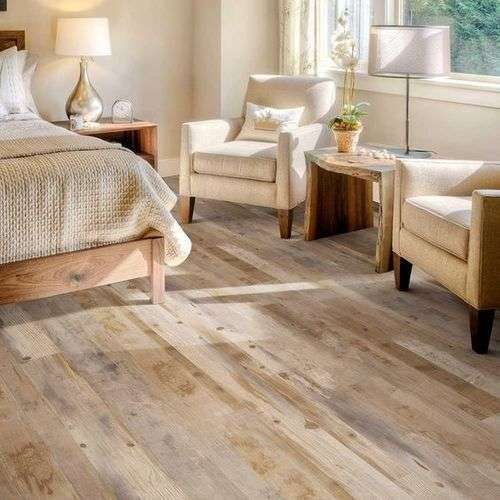 Sheet vinyl is among the “greenest” of floor products, made from natural materials: linseed oil, resins, recycled wood flour, cork dust, limestone and mineral pigments, mounted on a jute backing. 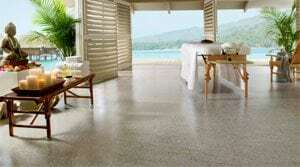 Additionally, sheet vinyl is naturally anti-bacterial and biodegradable. 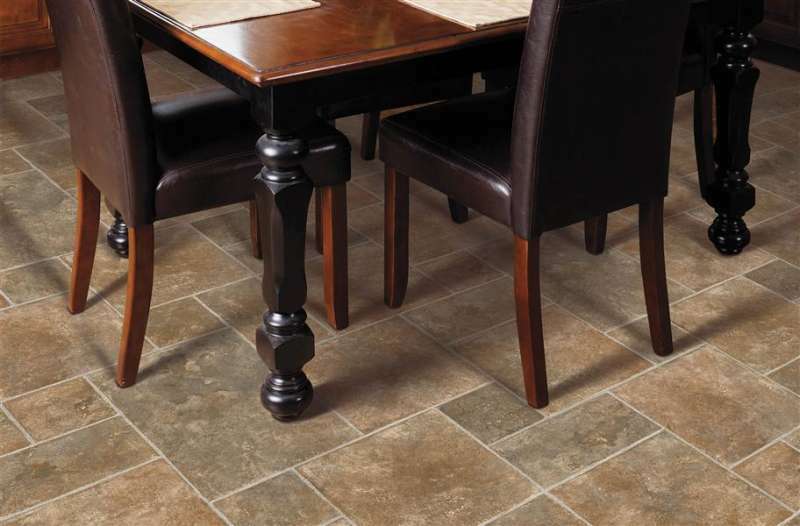 Sheet vinyl can be installed in most any interior room in the house. 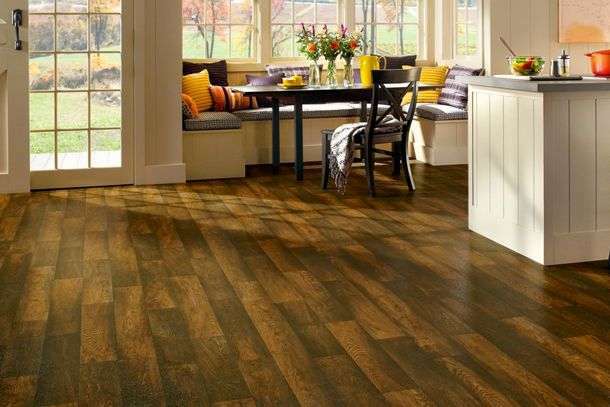 One of sheet vinyl’s most distinctive qualities is that the entire thickness of the wear layer (except the jute backing) is throughout the entire floor – meaning the color and pattern extend through the entire floor surface.